Welcome to our second Oscar themed recipe! 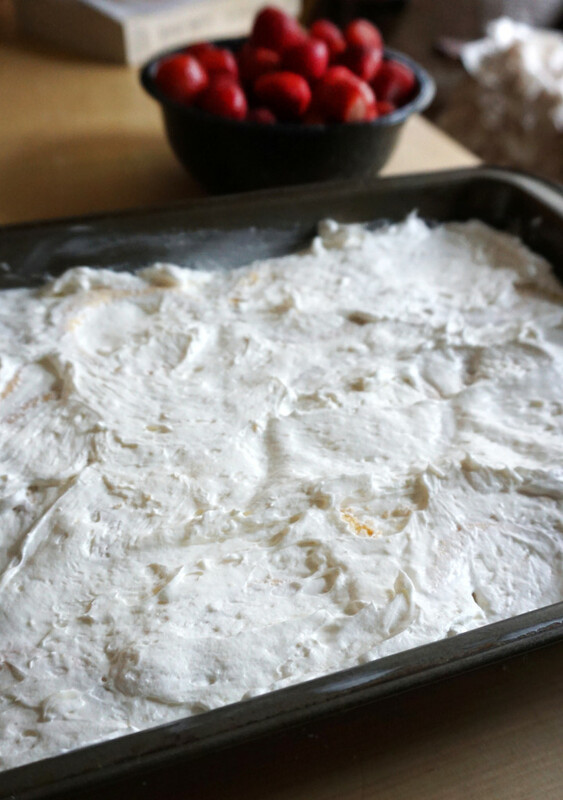 Today we’re going with a punny dessert that would be perfect for an Oscar viewing party. I don’t consider myself to be great at making sweets, but this was soooo yummy! 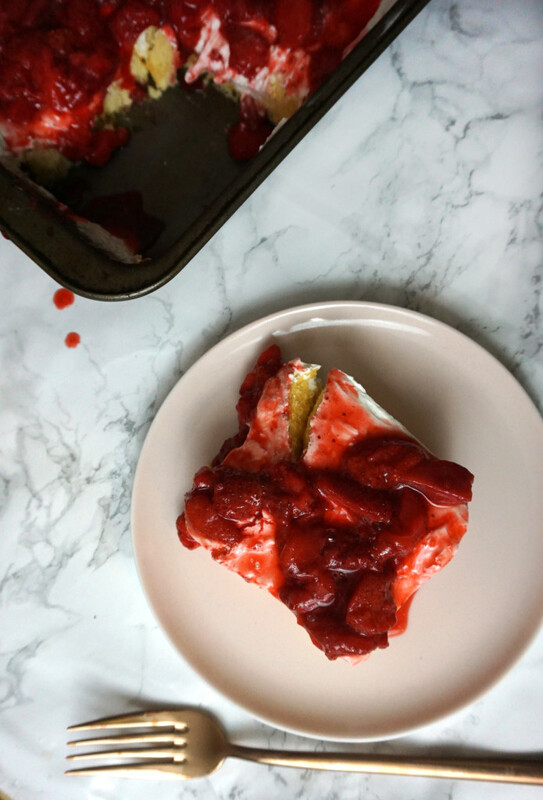 This turned out like a strawberry shortcake cheesecake… kind of the best of two worlds. 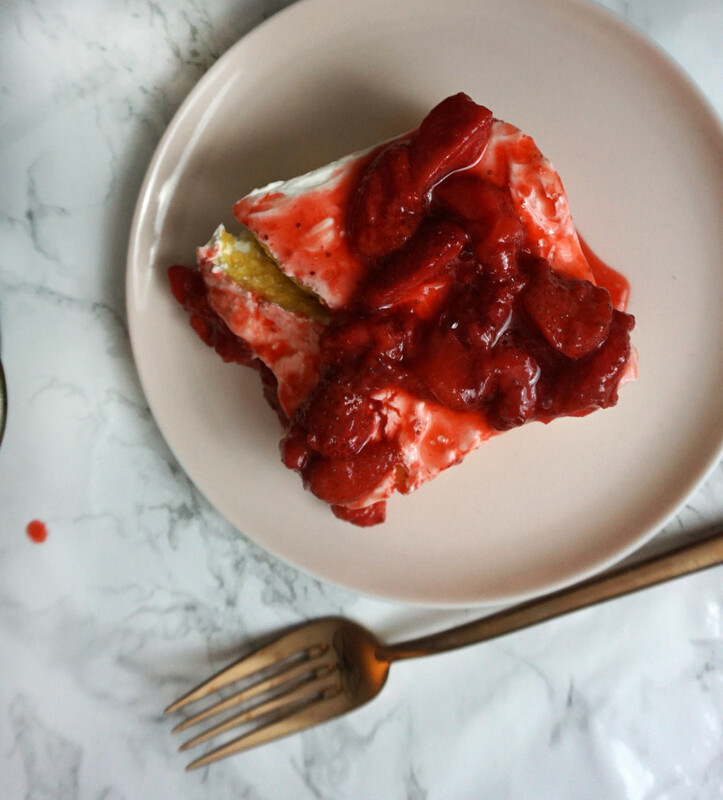 I loved the sweetness of the strawberries with the creaminess of the whip topping and cream cheese and the lightness of the shortcakes. You could probably substitute squares of angel food or pound cake for the shortcake if you wanted. That was actually my original plan, but the corner market near us didn’t have either of those options, so I went with a few packages of shortcakes. I ended up being really happy with the results, but I’m sure they all would taste great! If you are having an Oscar party it would be very easy to make this the day ahead of time. In my experience people mostly want savory things at parties, but you need at least one sweet, right?? This was so addicting, it was impossible to only have one piece, so don’t count on leftovers! For strawberry topping: Chop strawberries in half or quarter (depending on how you like the chunks), throw in a wide pan on medium-low heat along with water, vinegar/lemon juice, and half the amount of sugar, stir around, cover and cook for 10-15 minutes. Keep checking & stirring in between. 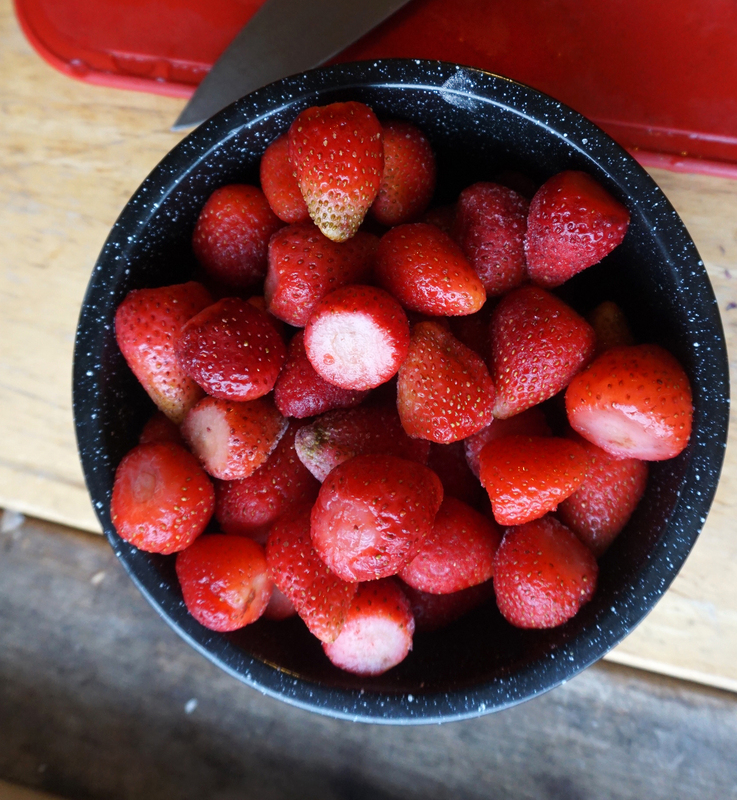 Strawberries will get mushy, release water, thicken up. Taste & adjust sugar. For cream cheese mixture: With a stand or hand mixer, mix the cream cheese and the powdered sugar together for on medium speed for 1 minute until it's creamy. Fold in the Cool Whip evenly. 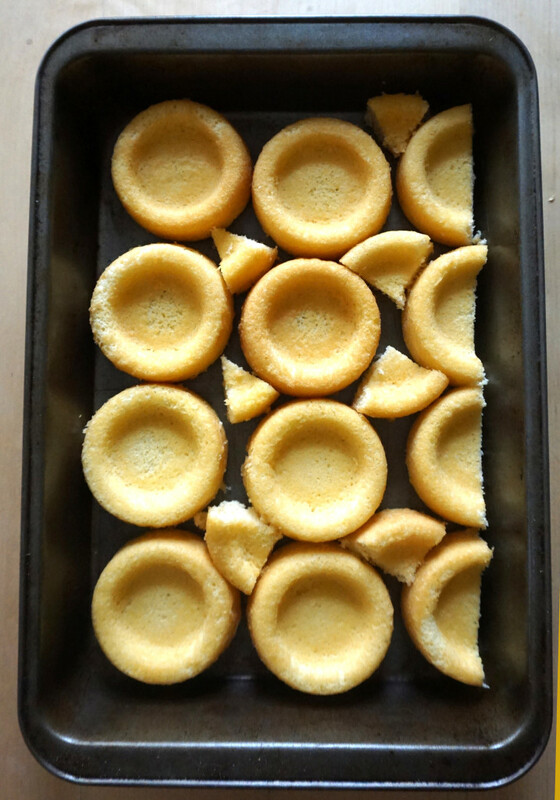 Layering Directions: Layer shortcakes in pan, I cut some in halves and quarters to cover more pan space. Layer whipped topping/cream cheese mixture over shortcakes with a spatula. Layer cooled strawberry mixture over cream cheese layer and serve.